Web Development & Hosting | Compu-Tech Intl. Thanks to cloud hosting providers, you can sign up for a virtual private server for as little as 10 dollars a month. For the cost of as little as two cups of coffee a month, you can have your very own Linux server on the cloud, ready to work for you. The question is, what can you do with this computing power at your disposal? The answer? A lot. Here are a few examples. A simple example we can use is to run your own DNS server in the cloud. Everyone is starting to take their privacy online more seriously and one of the more common ways of tracking people online is by tracking websites that load whenever you visit another website. When you run your own DNS server, you can use a server like Pi-Hole which blocks any trackers, ads, and other insidious services online. The software is free and open-source. Users online say it blocks as much as 45% of their DNS requests. If you want to go even further and mask your online traffic, you can setup your own VPN server. The advantage over commercial VPN services is that you have more control over your data and its storage. Often, we have no idea if these providers discard logs when they say they do. Looking for something simpler to do? Install a web server like Apache, and setup your own blog. There are guides online which will have you up and running in about 20 minutes. Article by Rack Alley. Get started with your own website with ultra-fast LA web hosting with the tier 1 infrastructure at Rack Alley. The primary diagram you need is one with all the network connections. Note the port numbers, the orientation of the ports and any other information that might help during a crisis. Also, document the ISP-side details of network connections. Data centers like Rack Alley have several carrier connections in-house so make sure to note such details. Most applications, servers, and routers run on individual virtual networks within a physical network for security reasons. Document the different VLANs, VLAN ID’s, paths, and the addresses of all the devices on each VLAN. Another important part of documenting your network is to label every component. Label each server, router, and switch with easy to read labels that include names, addresses, mac, and VLAN. Label cables on both sides with identifiers or use a numbered cable and indicate both sides in a separate document. 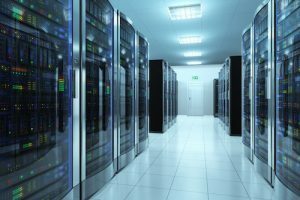 The movement to the cloud, either by colocation or using an online virtual provider is accelerating. According to MarketsandMarket, a staggering 65% of company’s IT infrastructure will be off-site by 2018. This big trend is driven by the move from large capital expenditure to a less expensive opex model. For those interested in making the move, here are few considerations to take into account before taking the plunge. Pricing is the biggest factor to take into account. 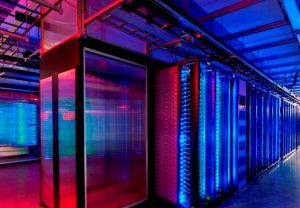 Companies are typically looking to reduce costs as part of the move to a data center. One way to do this is to look at a usage-based pricing model and lower monthly fees. Lower power usage and risk mitigation are also ways to look at the cost benefit of server hosting Los Angeles. Electricity costs are a saving that deserves a special mention. The National Resources Defense Council estimates that electricity consumption can be reduced by as much as 40% by moving all IT infrastructure off-site. This does involve the complete decommissioning of on-premise server rooms. Another important consideration is the security of the Los Angeles data center. Third party data centers have strict protocols in place to access the systems. They will also include round-the-clock monitoring and physical security that will provide audit compliance along with piece of mind. The biggest consideration is the change in attitude required. The organization has to change the way it looks at IT and services. There will need to be coordination between internal and external IT partners and all parties concerned will need to be prepared to handle that. Rack Alley provides premium LA web hosting services perfect for small and enterprise customers at their Los Angeles data center. 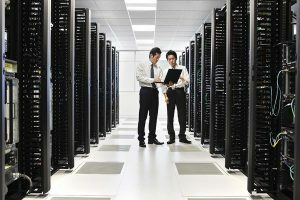 Have you heard of colocation before? There’s a good chance you have, seeing as how popular it’s becoming. But many of you may still be in the dark, so let’s take a look at what it means and how it can help your company. No doubt you’re already well aware of the fact that your business needs a website. Without one, it might as well not exist for all intents and purposes. Having a website means you must also have hosting for it. This is necessary to keep your site up and online at all times. In the past, server hosting in Los Angeles meant that you would be given space that was shared by dozens of other companies too. Colocation has come along and put an end to this archaic way of doing things though. With Los Angeles colocation, you get to design your own server from scratch. This means you can pick out all the hardware to give your company the exact hosting solution it needs. If you want, of course, you can rent out space to other companies and make some extra money on the side. But there is no mandate you do so, which means all the electricity that goes through that server gets used for your needs and your needs only. LA web hosting is growing in popularity and for good reason. Los Angeles web hosting like colocation comes with all of the benefits you’d expect from this option, but with far more versatility. Let Rack Alley show you! Are you looking for cloud server hosting Los Angeles area? The cloud technology is becoming a major buzz nowadays, especially among large companies, and has created a new look to our modern world. Cloud is a server that allows integration of extra resources such as space or RAM and consequently enabling website growth. Along with word “cloud” itself came cloud hosting. Now, let’s not get all worked up about the terms, cloud hosting basically means that multiple connected servers that forms a cloud hosts services that are provided to customers. Since availing cloud hosting services has been proven to be quite beneficial among clients – enjoying the easy accessibility and reliability of data, the scalability of applications, and the security of accounts. If you can access all of your files anywhere in the world, where are the servers located? There are several web and cloud hosting companies that have LA data centers. The west coast is a prime technology area that acts as a meeting point of global internet and traffic. Being a consumer, it would be best to use a cloud server that can facilitate self-service anytime- enabling you to access your data on demand, without the need of human interaction. Plus, some providers now enables the customer to access the needed information from any device like smart phones, tablets, etc. – don’t deprive yourself of this feature. To get the latest in Cloud software, look for hosting companies that use the latest VMotion technology like Rack Alley. They have LA Data Centers that are updated and have high level security and infrastructure. Rack Alley offers Cloud Hosting services that are powered with the latest VMware. Visit their website for more information regarding their services and how they can correspond with the data demands of your business. Every company these days relies on high-tech solutions both for growing their profits and shrinking their overhead. So it’s no surprise that the most successful ones tend to have the most technology on their side. That means if you’re looking to get ahead with your business, you need to be adapting and taking on these advantages too. One of the best ones available is having an LA data center on your side. Why a data center? Because it allows your company a larger digital footprint than it could ever have on its own. The company will put endless amounts of server space at your disposal without forcing you to invest in unnecessary, and expensive, amounts of hardware. This also means that if your company ever needs to gear their services down, they can do so without having a bunch of hardware sitting idle, taking up space and potentially sapping electricity. No matter what your company’s current needs are, you can do more and do it better with a data center backing you. Your company will get more than countless service on demand, but all the security and redundancy measures necessary to ensure your information is safe and never going anywhere. Rack Alley services the Los Angeles area with just about every high-tech resource they need to stay competitive in their market while adapting to new challenges. Whether you need a Los Angeles data center, hosting or other data center services, they’re the company to call.